The Bee Gees had a terrific run in the late 60s and early 70s, when they scored nearly a dozen memorable pop hits, among them “To Love Somebody,” “Words,” “I’ve Gotta Get a Message to You,” “I Started a Joke,” “Lonely Days” and the chart-topping “How Can You Mend a Broken Heart.” As it turned out, though, all of that was just a prelude to even bigger successes in the latter half of the 1970s. After a brief time out of the spotlight, the Brothers Gibb (hence the group name) came roaring back to dominate the charts with hit after hit, including eight that made it all the way to No. 1: “Jive Talkin’,” “You Should Be Dancing, “How Deep Is Your Love,” “Stayin’ Alive,” “”Night Fever,” “Too Much Heaven,” “Tragedy” and “Love You Inside Out.” It’s impossible to overstate how big these songs were in their time: “Night Fever” was the second most popular song of the entire decade, and some of the others weren’t far behind. 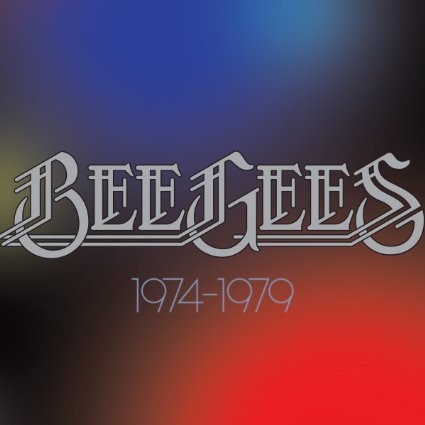 The five-disc Bee Gees 1974–1979 picks up their story just before this second wave of hits began. The package begins with Mr. Natural, the group’s 12th album, which barely made a dent in the charts when it first appeared in 1974 and arguably represents the Bee Gees’ pre-disco nadir. Listening to it four decades later, though, it seems less a bad album than the wrong album at the wrong time. If the group had released it a few years earlier, it might well have spawned a hit or two. Certainly, tracks like “I Can’t Let You Go,” “Lost in Your Love” and the title cut are as well sung and melodic as much of what’s on more popular predecessors like Idea and 2 Years On. Be that as it may, the other studio records here were definitely all the right albums at the right times; all of them were loaded with songs that were inescapable—and in some cases irresistible—throughout the late 70s. Main Course, which arrived in 1975, included the hits “Jive Talkin’,” “Nights on Broadway” and “Fanny (Be Tender with My Love).” Children of the World, which followed in 1976, proved even more popular, with smashes like “You Should Be Dancing,” “Love So Right” and “Boogie Children.” Yet another huge hit, 1979’s Spirits Having Flown, included the rocking “Tragedy” and found the group moving beyond disco with the title cut and “Too Much Heaven,” both gorgeous ballads. Critics often deride the Bee Gees’ music. Rolling Stone, for example, has noted that “the lyrics don’t make sense” (does “Lucy in the Sky with Diamonds”?) and that the disco material is inauthentic, “plastic R&B.” OK, we can all agree that the Gibb brothers are not the Temptations. In fact, this is not R&B, plastic or otherwise; it is pop music that draws on R&B, among other things. Largely because 1974–1979 contains full original albums rather than highlights, moreover, the quality here isn’t uniform. And some of the tracks—particularly the ones that rely as heavily on a disco beat and synthesizer as on melody and harmony—do seem about as timely today as Studio 54.